We're proud to offer these outstanding synthetic roof tiles from the industries leading suppliers including Inspire and Distinction by Quarrix. 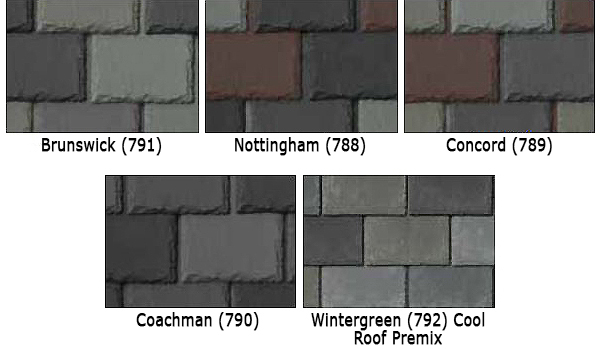 These are the finest synthetic roofing shingle / tiles on the market and are made from premium grade materials. A proprietary molding process is used to create tiles that look better and are far stronger than the natural materials. 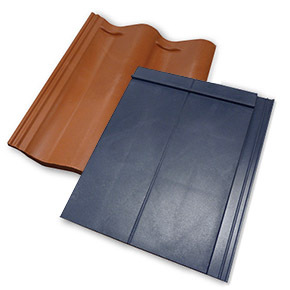 These plastic roofing shingles are ideal for new or replacement roofs. 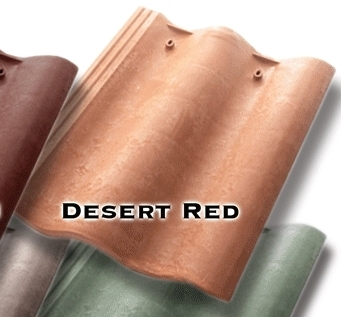 They an be used over asphalt shingle shingles or as tile roofs and for commercial applications. Testing includes the golf course: Multiple direct-drives at a driving range resulted in NO breakage! 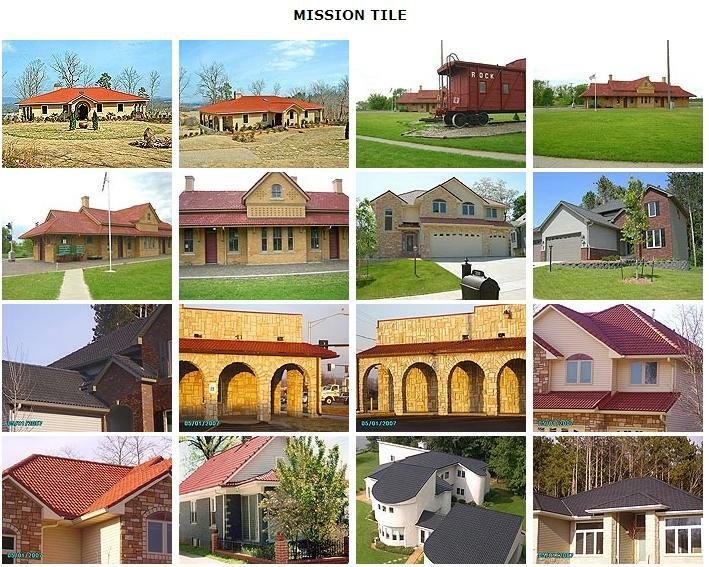 Mission tile and most others are class 4 Impact Resistant. We highly recommend these for golf-course homes. Fire Rated: These lightweight roof tiles are tested and available in either a Class-A or Class-C fire rating. All have Class-4 hail / impact resistance, up to 110 MPH wind ratings, and are suitable for new or re-roofing on all types of roofs. Designed and manufactured as "architectural grade" roof tile, these tiles are suitable for historical restoration, commercial properties, golf course properties or just to beautifully upgrade an older homes roof. 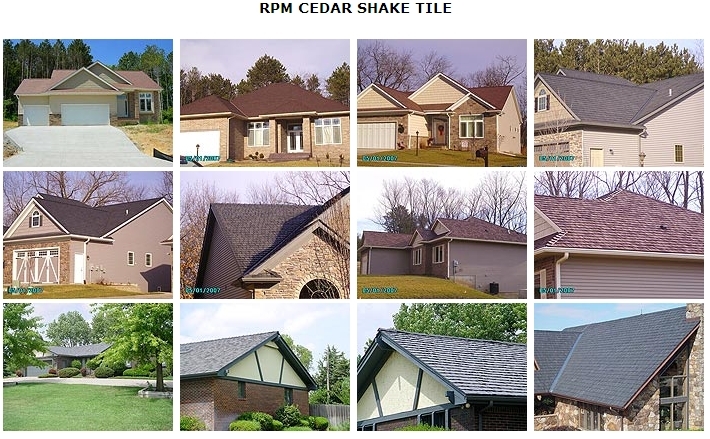 These beautiful synthetic roofing tiles are available in Synthetic Slate Tiles, synthetic Cedar Shake, classic Spanish / Mission Tile styles, European Pan and Provincial Flat Tiles. Products are available in all popular natural color and mixes, offering colors complement any home. All the tiles are nailed (or screwed) and applied just like regular roofing products. Our synthetic roof tiles feature a 50 Year Manufacturers Warranty (Inspire or Distinction Tile Warranty. Using synthetic roofing tiles, roofing systems can now be built to be incredibly durable and meet all the green building requirements. With their extremely high breakage resistance, you can walk on synthetic roof tiles without tile damage. And job-site breakage is virtually eliminated. Cutting odd shapes is simple too: just use a hand saw or Sawzall -- to saw quickly and safely -- without the silicosis hazards of sawing concrete or stone tiles. 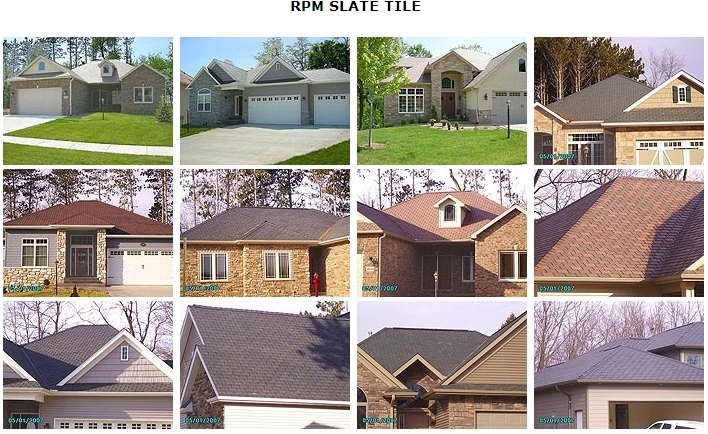 Roof Tile Installation Guides provide clear step-by-step DIY installation and material estimating details: Spanish / Mission Tile, Slate Tiles, Cedar Shake Tiles. Roof Measurement Reports are quickly provided through our automated satellite Aerial Measurement Reports. Quick, accurate and Low Cost Reports in 1-3 days. 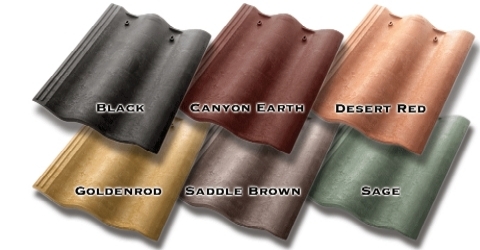 These are recommended for all re-roofing projects. More information. 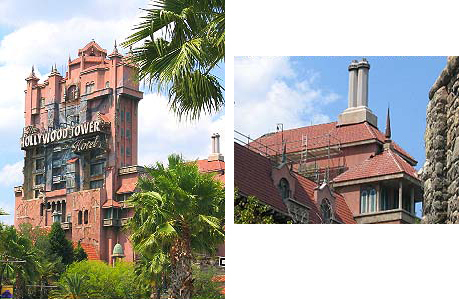 NEW: Aluminum metal roofing shingles. 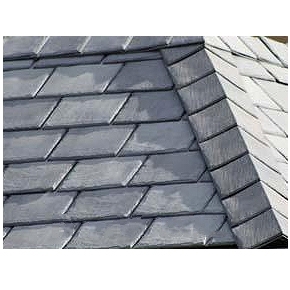 Beautiful diamond shingles provide a beautiful high-quality look at an affordable price. You'll find our quick-shipping & discount prices are unbeatable. * 150 MPH Tested Wind Uplift Resistance (higher can be achieved when tile-bond adhesives are used in addition to standard nailing. * UV Resistance: Long term colorfastness and performance. * Zero moisture uptake: Nothing to feed mold growth; no added weight gain. * Mold and Mildew resistant. Non-porous design. * Ease and speed of application. * Roofing products are made of many recycled plastics and are 100% recyclable. They meet requirements for green roofs / green buildings systems. Lightweight: No structural modifications needed. Cold Weather Application: Can be applied in temperatures as low a 20F. Pneumatic Gun Nailing: Can be nailed with a coil roofing nailer without breakage. No Jobsite or Transport Breakage: Eliminates waste, landfill and expensive scrap loss. 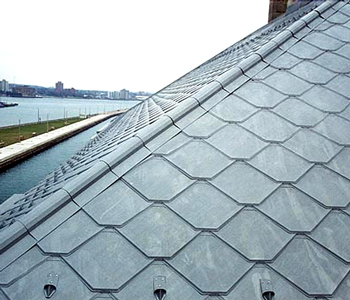 Durability: Roof can be walked on during and after installation, plus long-term breakage resistance. Hail and Golf Ball Resistant ! Fire Ratings: For very high fire hazard zones, California's Title 24 Subchapter 7A spells out strict requirements. Class-A roofs are required for "very High Hazard Zones". Class B is required in 'High Severity Zones, and Class C for "Moderate" zones. Most synthetic tiles are tested and are certified as Class A, when used with a Class-A underlayments, and meet Class C with C-Rated and some standard underlayments. Other aspects of roof design are critically important to achieve fire resistance including vent design, valley metal, rafter exposure, eaves, soffits, gutters, windows, walls, decks and surrounding landscaping. The UL fire resistance test has three parts. The first is Spread of Flame. A roof mockup measuring 4 x 10' is constructed and allowed to condition for 30 days. Then the assembly is placed at an incline in a chamber that simulates a 12 MPH wind. A flame is created using a gas burner across the bottom of the assembly and allowed to propagate up the incline for 10 minutes. The flame spread is measured and rated according to Class A, B, or C with A being the least flame spread (best rating). The second part is the Intermittent Spread of Flame. Here the same process is recreated, but the flame is turned off and on during the test. Again the flame propagation is rated as A, B, or C. The third test is the Burning Brand Test, where a pine lattice (called a Crib) is set afire and placed on the roof assembly. If it burns through to the deck, it fails that rating. Class-A rating would resist a 12 x 12" lattice, B rating would resist a 6 x 6" lattice and C Rating would resist a 1-1/2 x 1-1/2" lattice. Use of fire-rated underlayment and/or sheet is needed to create a fire-resistant and rated system. Independent Labs Roofing Materials Testing: Roofing products and systems are tested and evaluated for fire resistance, weather damage, weathering and performance-related characteristics.